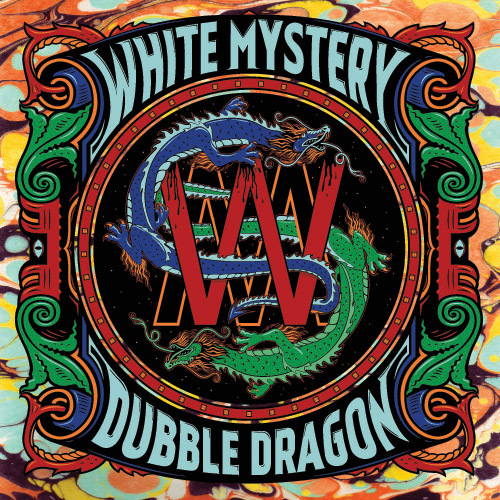 White Mystery reveals the depths of its imagination in for DUBBLE DRAGON. Starring child actor Tomek Adler and Don Bolles from the Germs and 45 Grave, along with Miss Alex White & Francis Scott Key White. 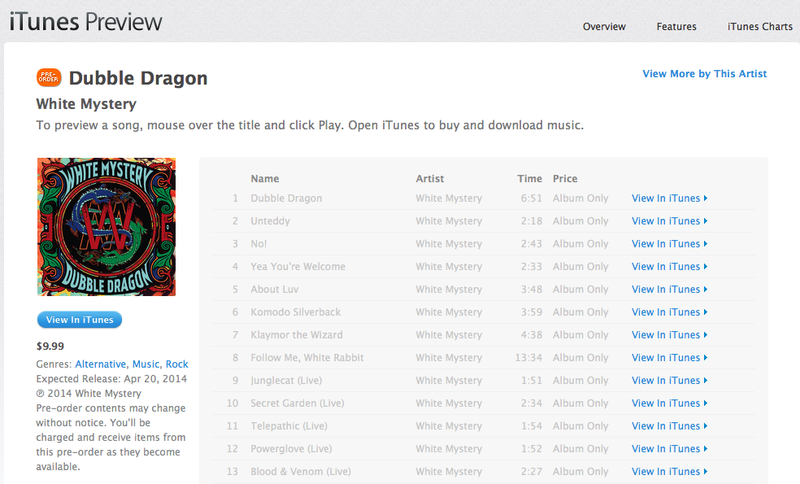 Get White Mystery “Dubble Dragon” on iTunes for $9.99! Just click here. Check out the portfolio of artist Tim Smith here. 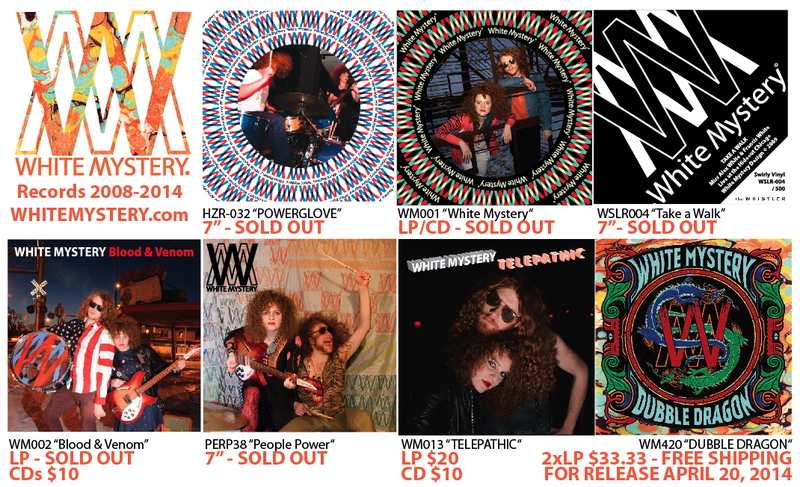 Today, when a distributor requested copies of White Mystery records, it became apparent that both the self-titled LP and “Blood & Venom” vinyl albums are sold out. 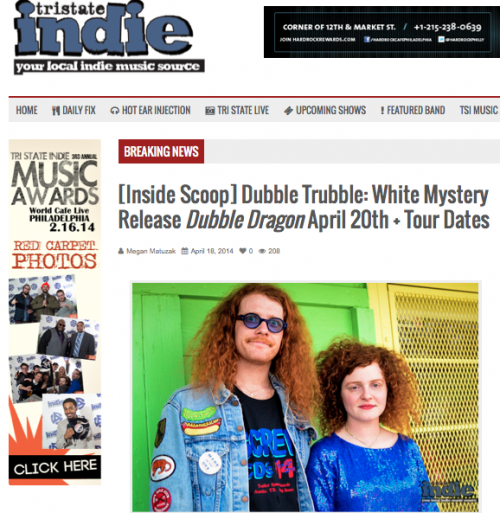 White Mystery records are limited first pressings so it’s probably a good idea for you to mailorder “Telepathic” & “Dubble Dragon” NOW. 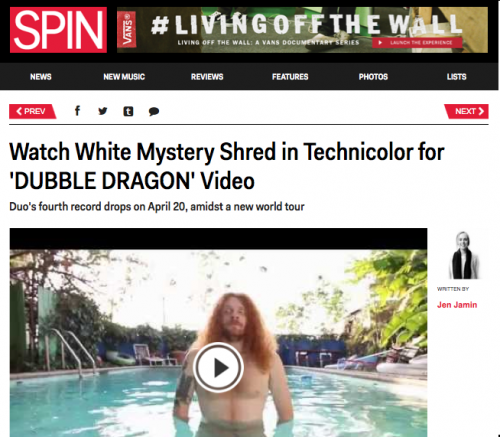 Of course, you can tune into all White Mystery releases digitally and stream right here. 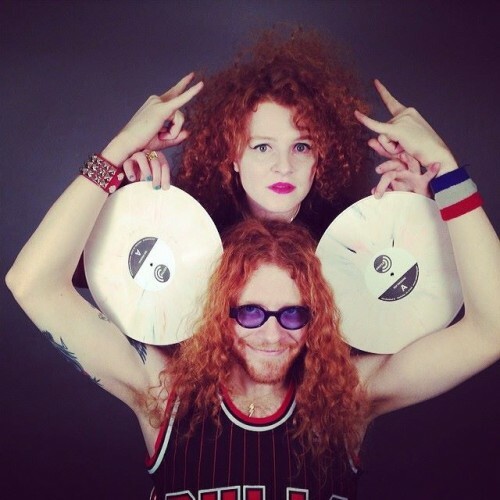 White Mystery has self-released a new album every year on April 20 since 2009. 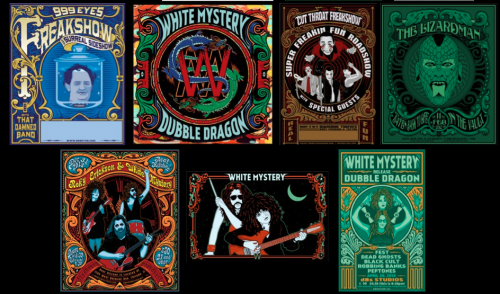 This year we’re going double or nothing with DUBBLE DRAGON which is a full-color, gate-fold, two-vinyl-disc epic listening experience!